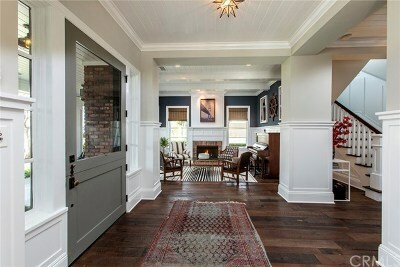 Every now and then, a one of a kind, exquisite, creatively built custom property comes to market. 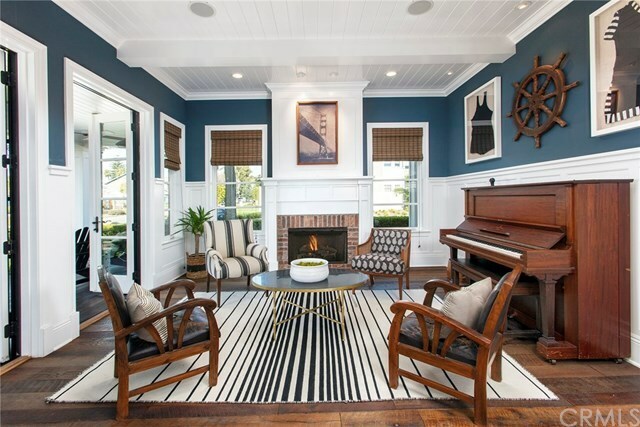 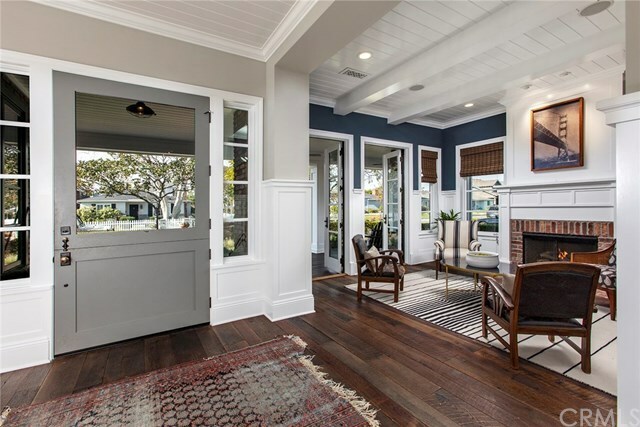 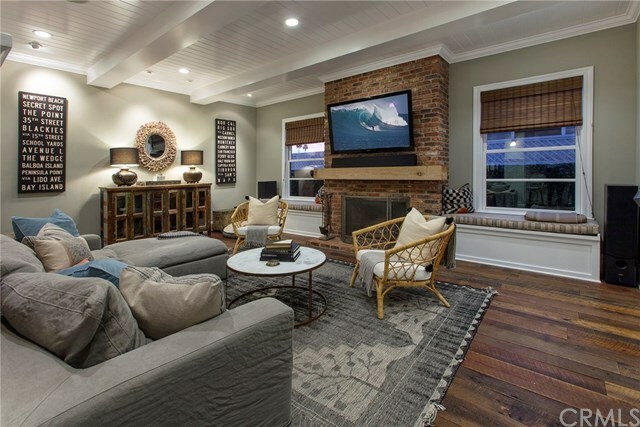 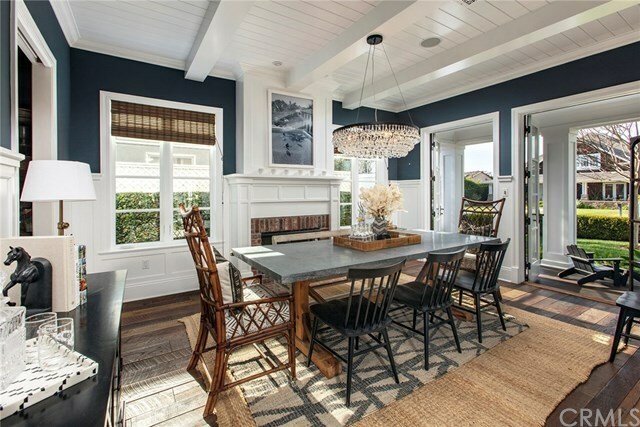 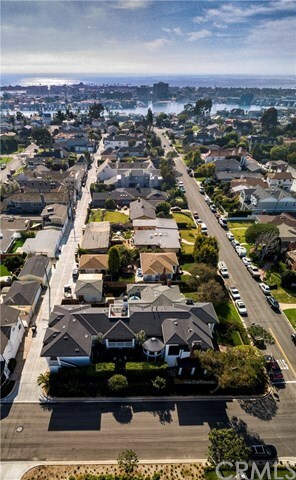 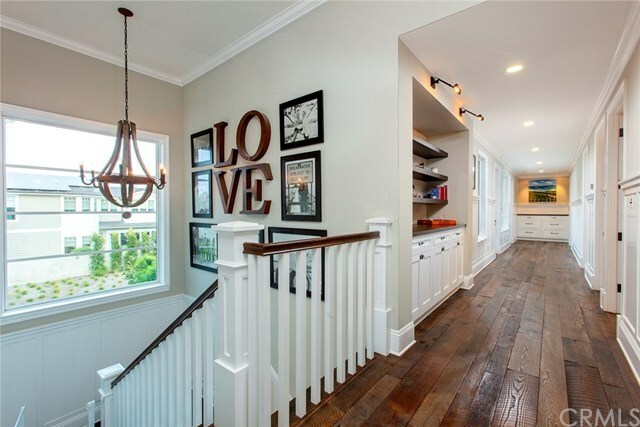 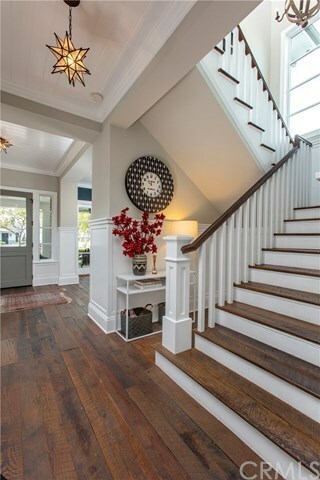 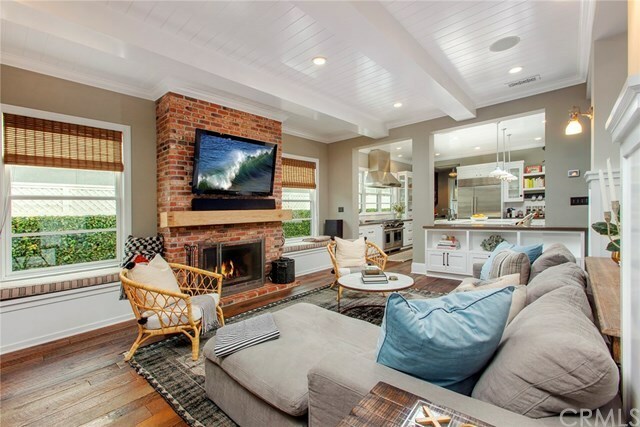 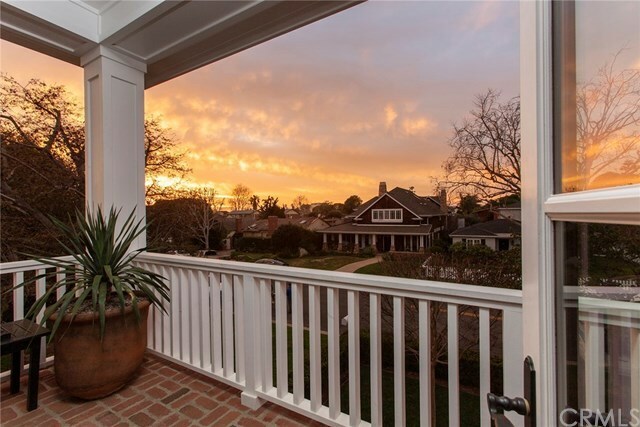 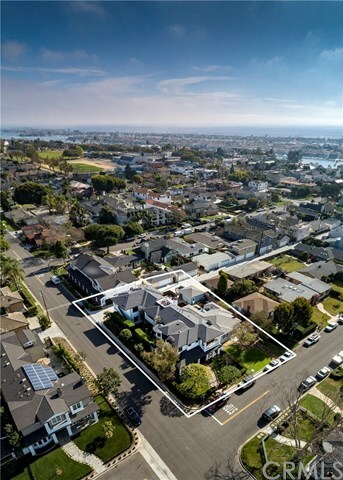 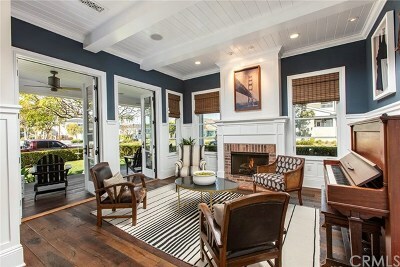 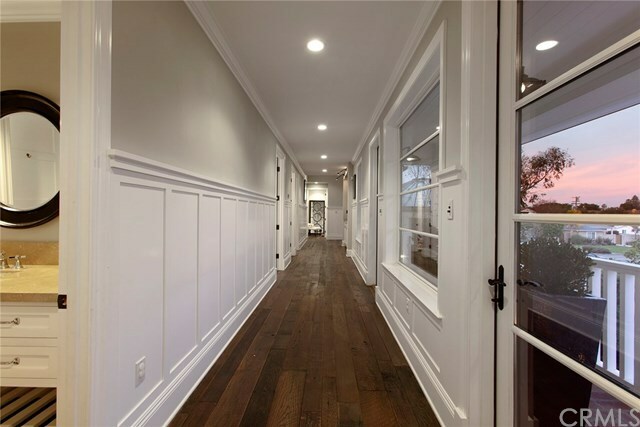 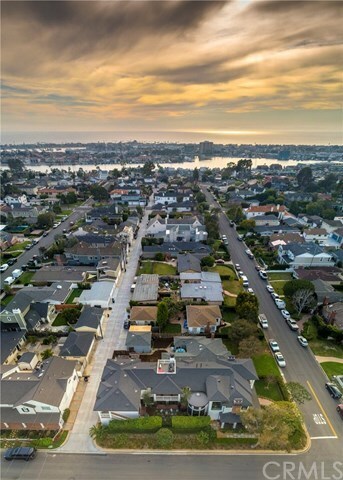 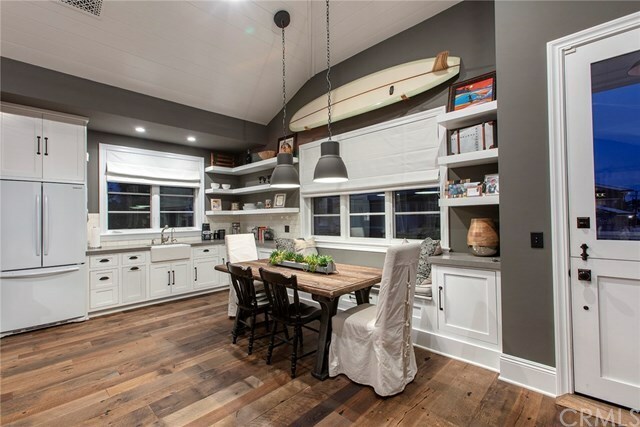 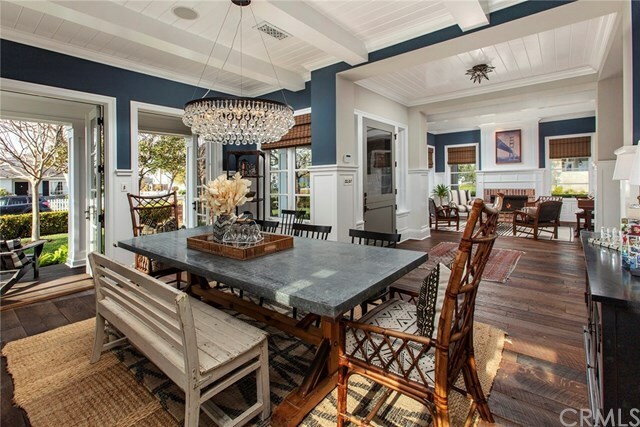 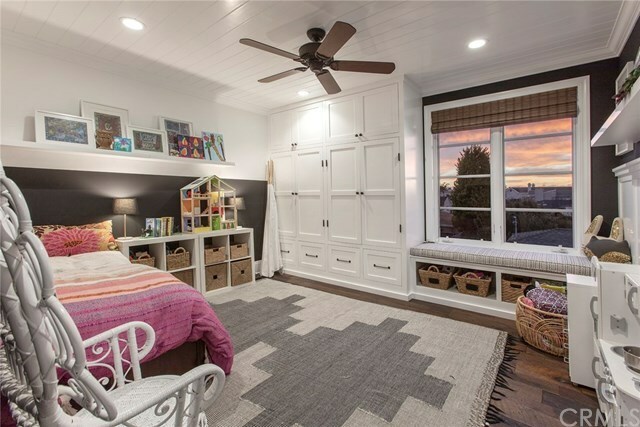 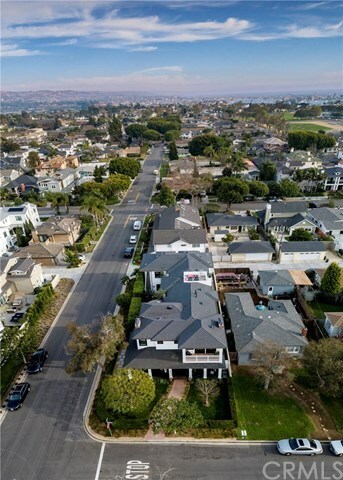 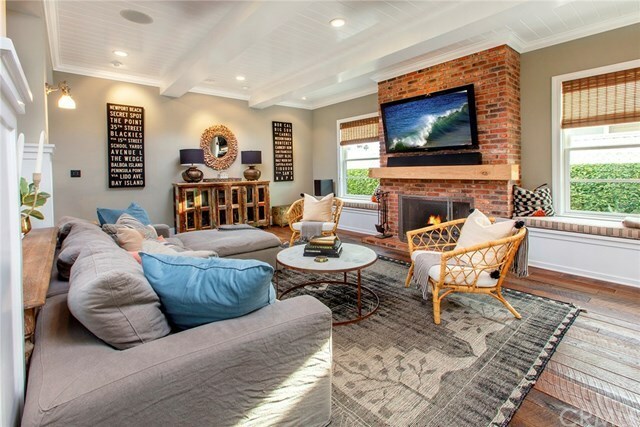 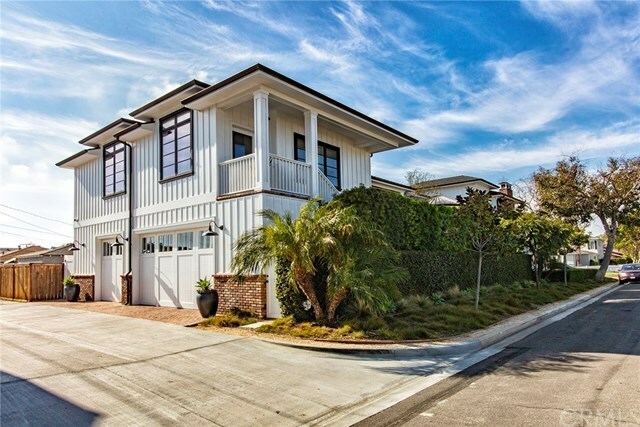 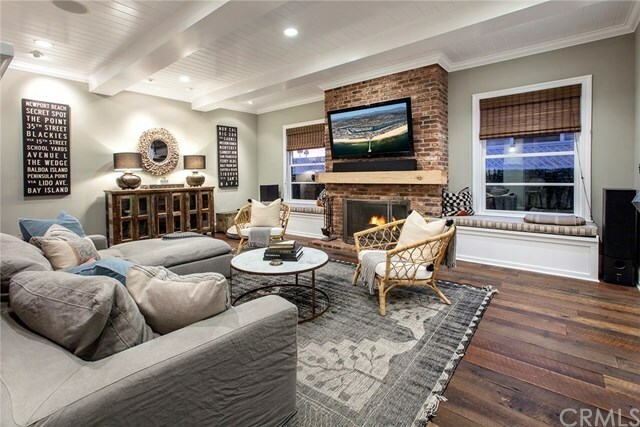 Featured on the Newport Harbor Home Tour, this home is todayâs architectural classic, with the look of a maritime, quintessential beach house that has an ode to authentic, rustic elements with its pre-1900âs Iowa farm sourced barn wood floors. 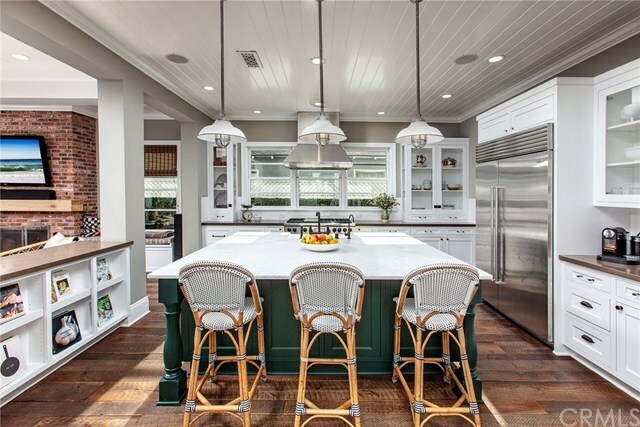 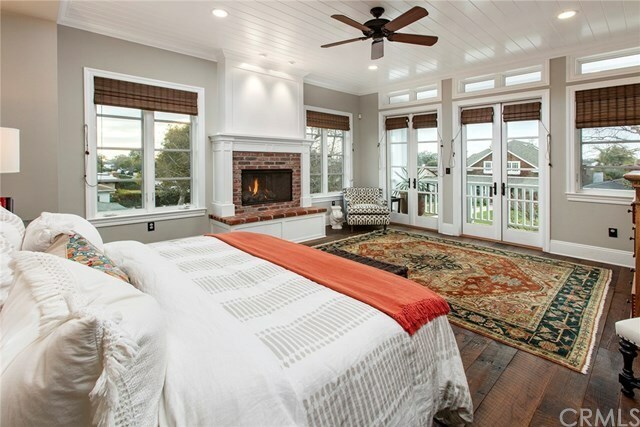 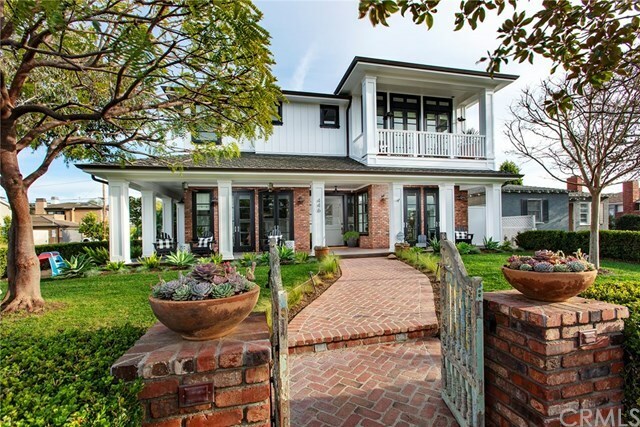 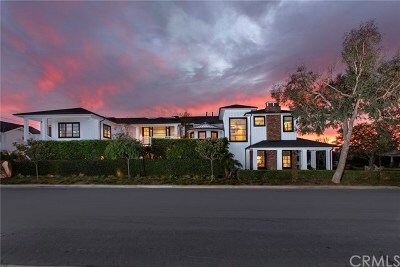 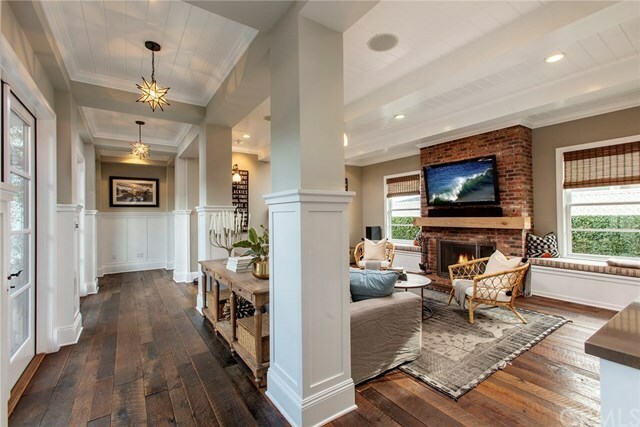 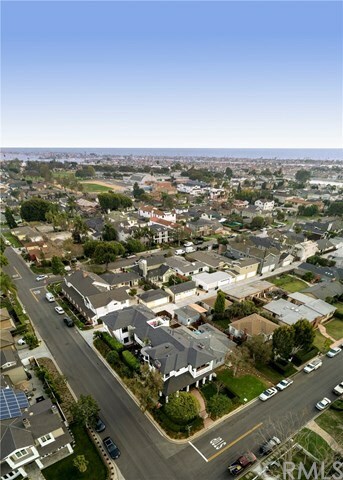 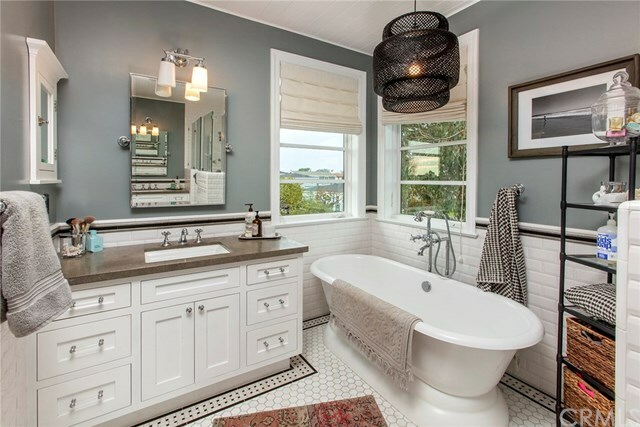 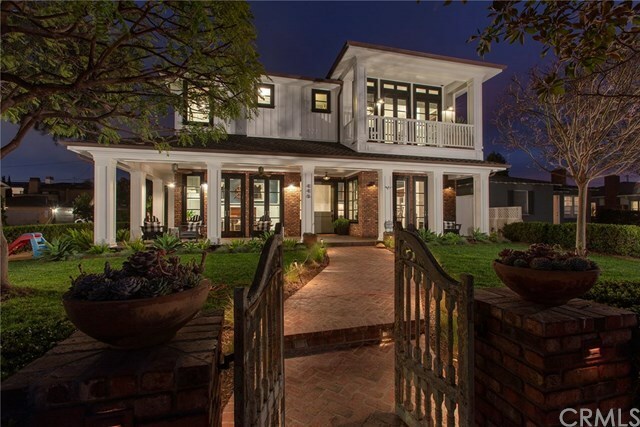 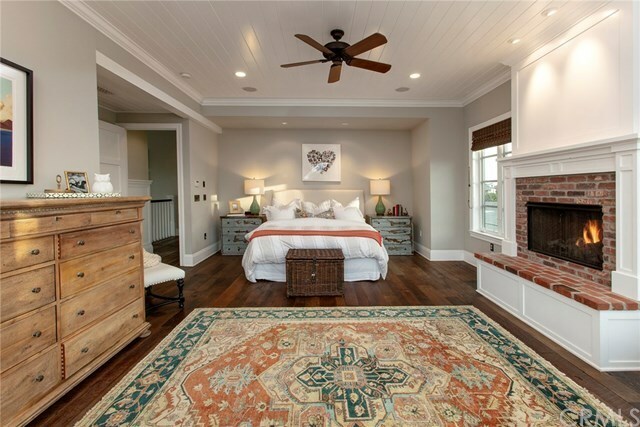 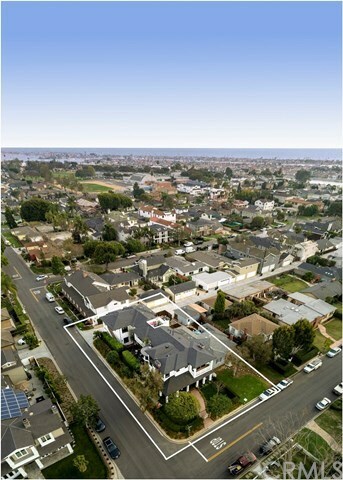 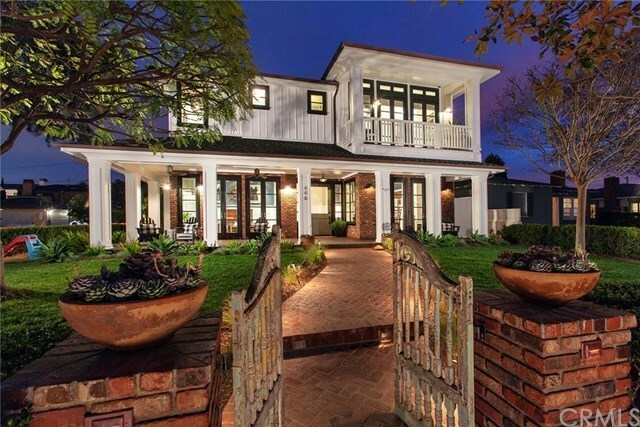 The feeling this home evokes is Newport living at its finest. 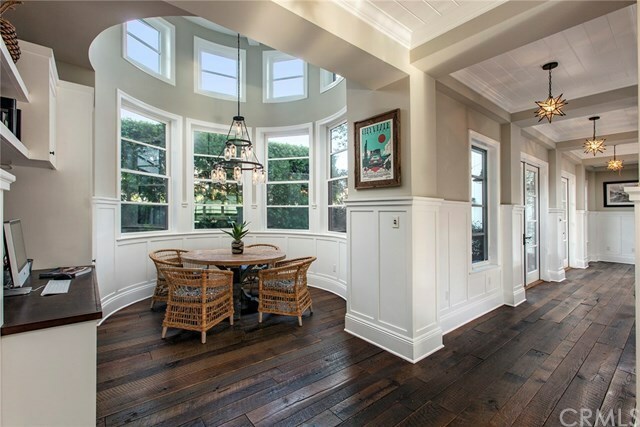 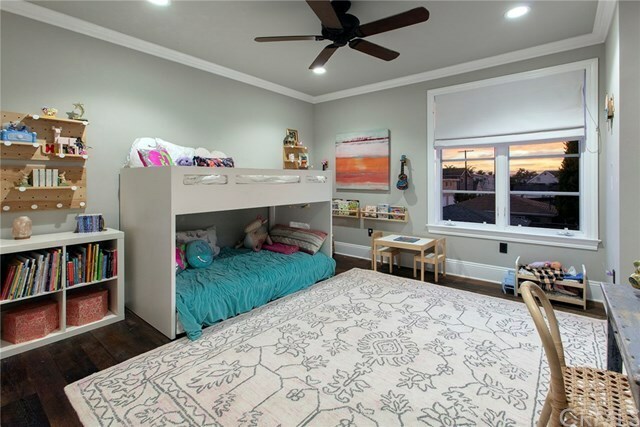 The soaring ceilings and walls of oversized windows allow for natural light to fill every room. Custom board and batten detail accentuate the tongue and groove ceilings and unique custom light fixtures throughout. 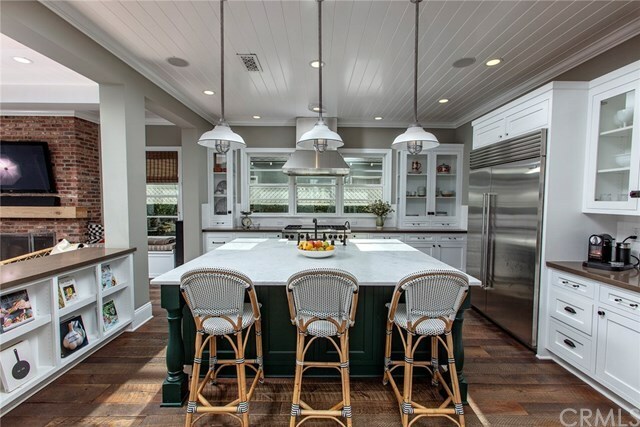 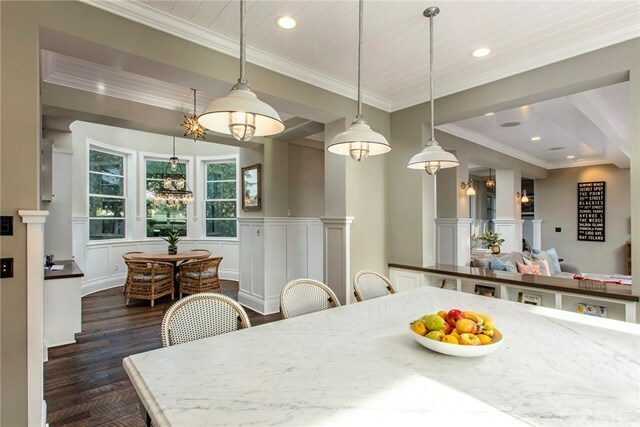 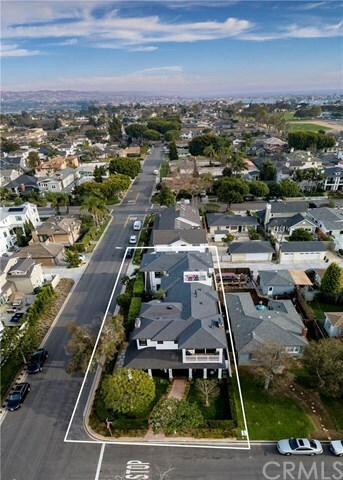 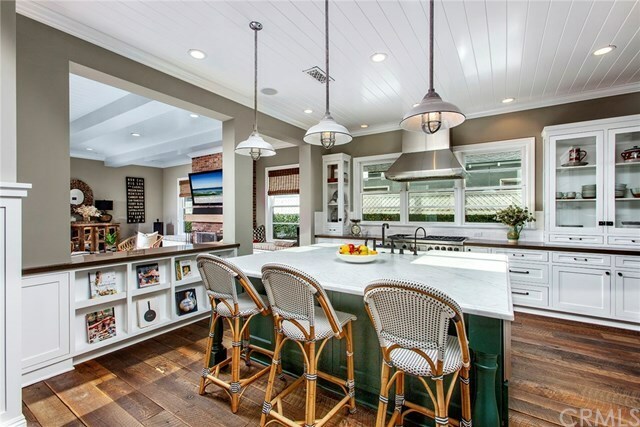 The state of the art, gourmet kitchen with oversized island, is the anchor to the family room, breakfast nook, butlerâs pantry, formal dining as well as the homeâs patio and outdoor living space. The second floor is as open and light filled as the first, with 10 foot ceilings, wide open hallways, oversized windows and thoughtful built-ins. 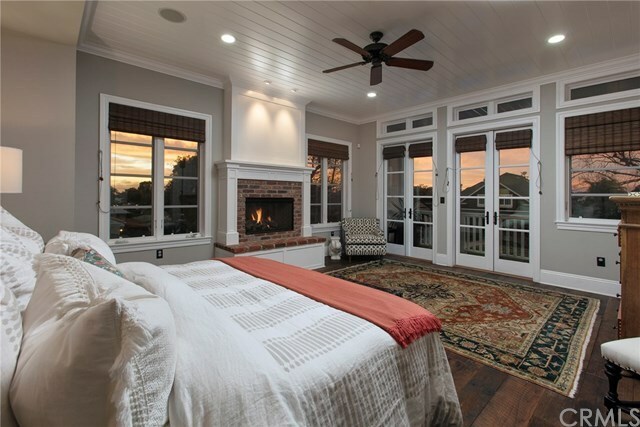 All give way to 3 bedrooms and a master suite, with fireplace, balcony with views, and his and her walk-in closets. 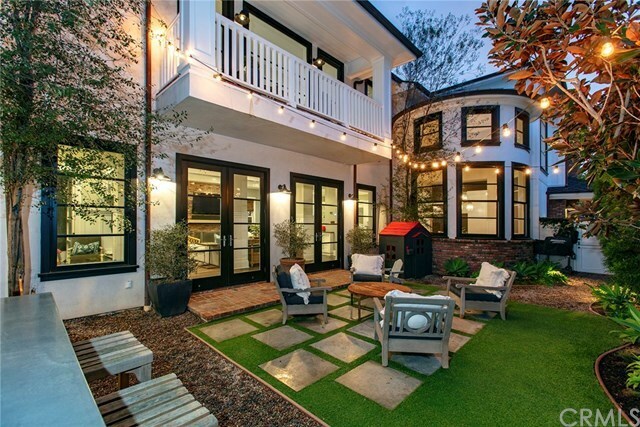 Home also features a spectacular, detached apartment over the garage. 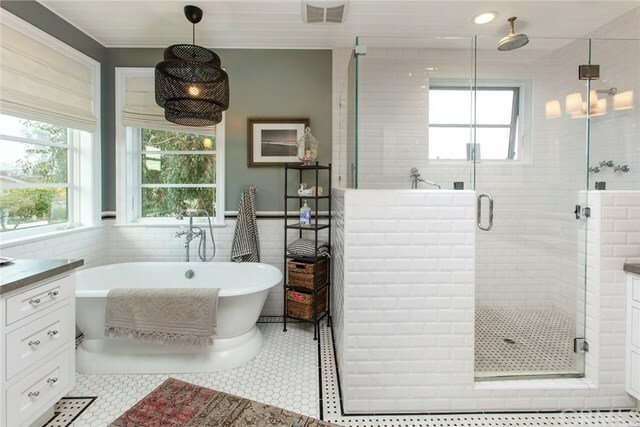 This approximately 836 sq. 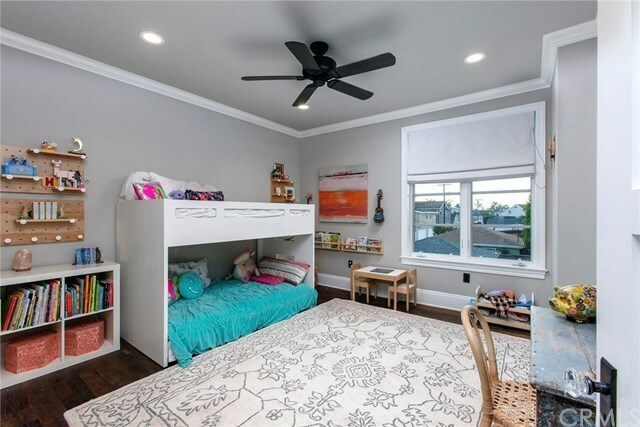 ft., unit boasts ceilings close to 15ft. 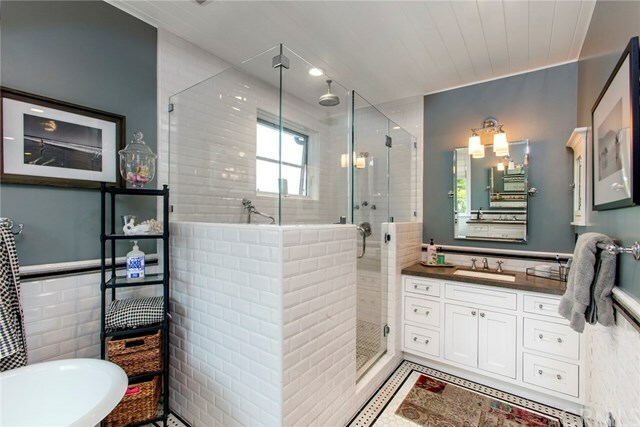 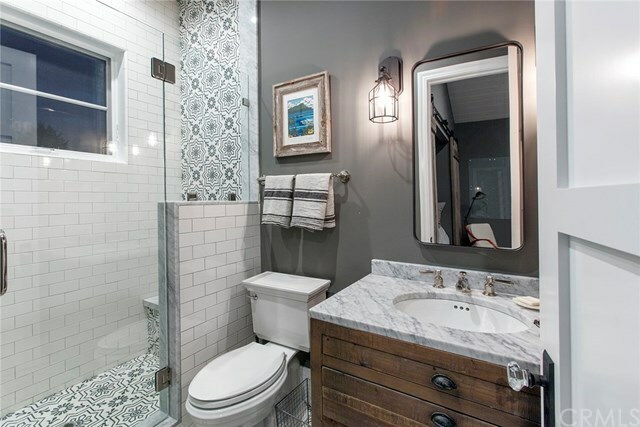 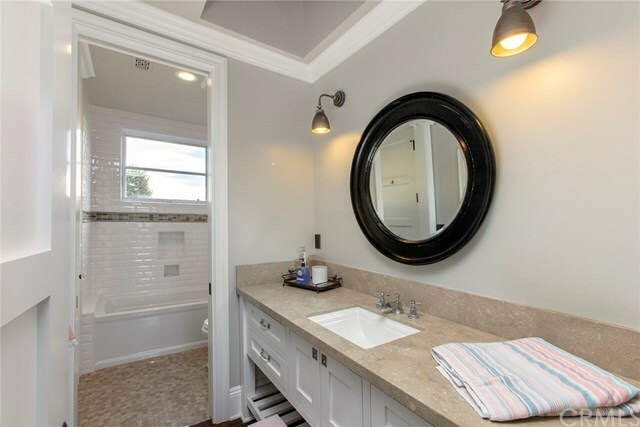 high, all design details mirror the home. 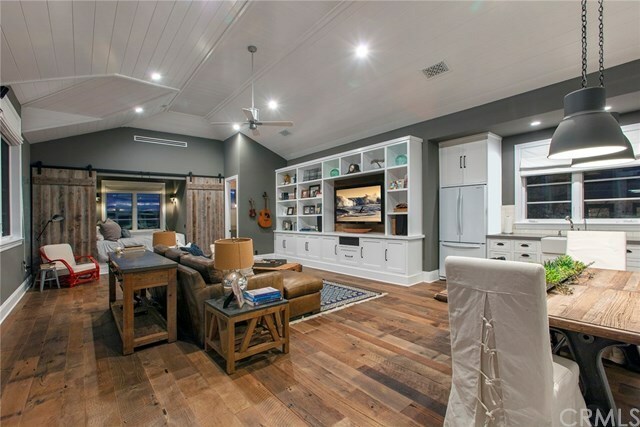 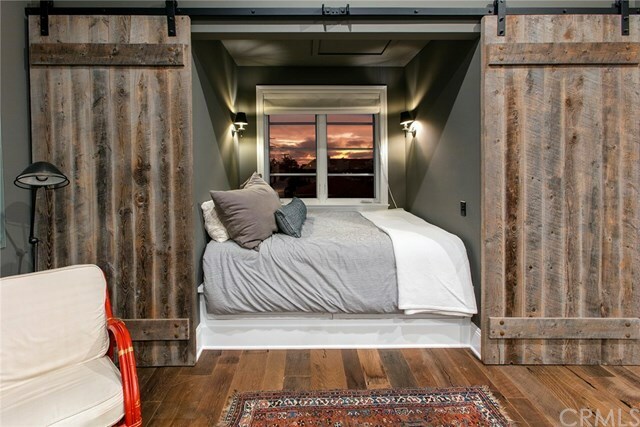 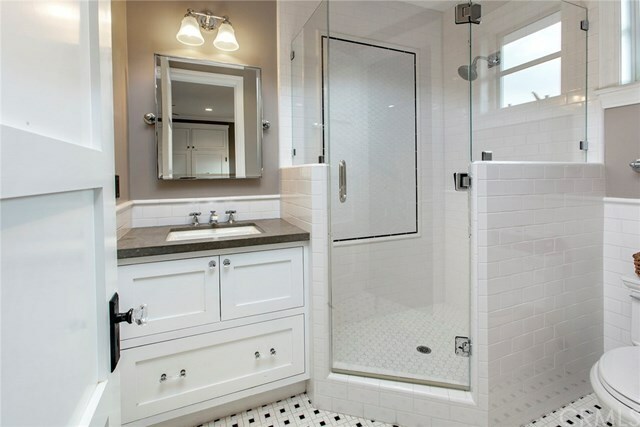 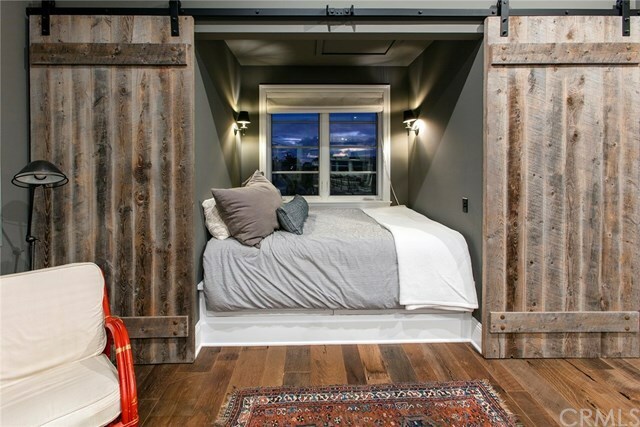 Kitchen, separate bath, built-in bed and closets accented with sliding barn doors. 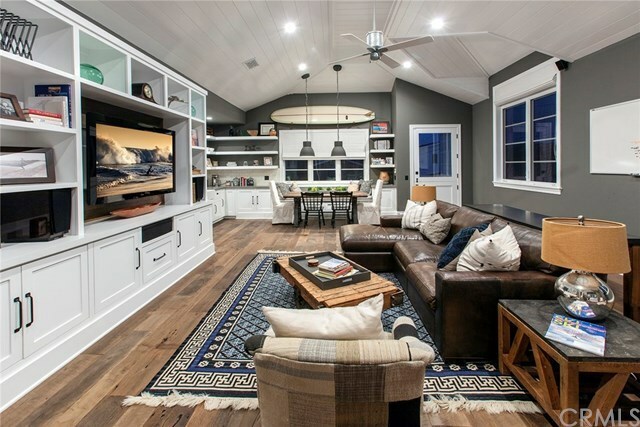 This retreat is a perfect guest house, refuge, or party room, and the additional space is something to behold.